Two detectives teamed up to catch a serial killer who murdered their family. 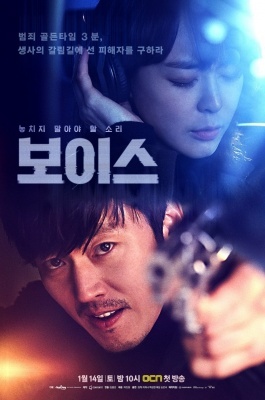 Moo Jin Hyuk (Jang Hyuk)’s life spiraled out of control after his wife was murdered. He starts to put himself together after he meets Kang Kwon Joo (Lee Ha Na), US-graduated voice-profiler, who lost her police father to the same serial killer years before. They work together on the 112 (emergency telephone number) call center team.